Keegan Richard Johnston is the son of Peter Johnston and Stephanie Santangelo. 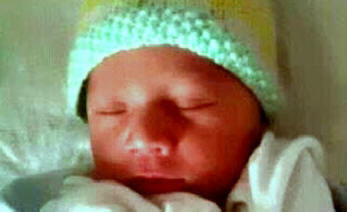 He was born May 21, 2012 in New Jersey. He weighed 8 pounds 20 ounces and was 20 inches long. Keegan is the great-great-great grandson of Patrick “Yankee Pat” Tinneny of Goladuff, Newtownbutler, County Fermanagh, Northern Ireland; Greenock, Scotland and Philadelphia, Pennsylvania USA.